Amazing 4 hour Pulled Pork! It can be done! So to begin, heat your oven to 300 degrees. Next, get the rub ready. Dump all the dry ingredients listed above into a bowl and mix. Make sure you really break up all those pieces of brown sugar. Now, on to the meat. 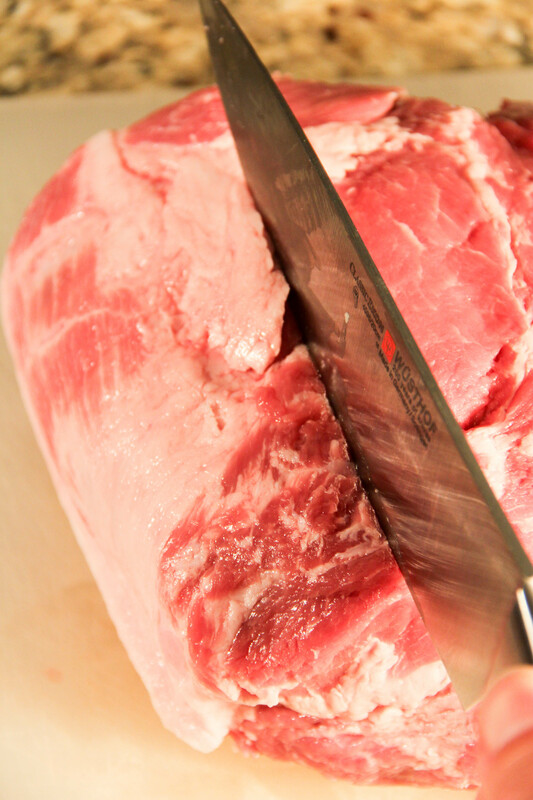 On a cutting board, cut the pork shoulder into 2 inch wide pork steaks. This is how we're going to speed the cooking time. 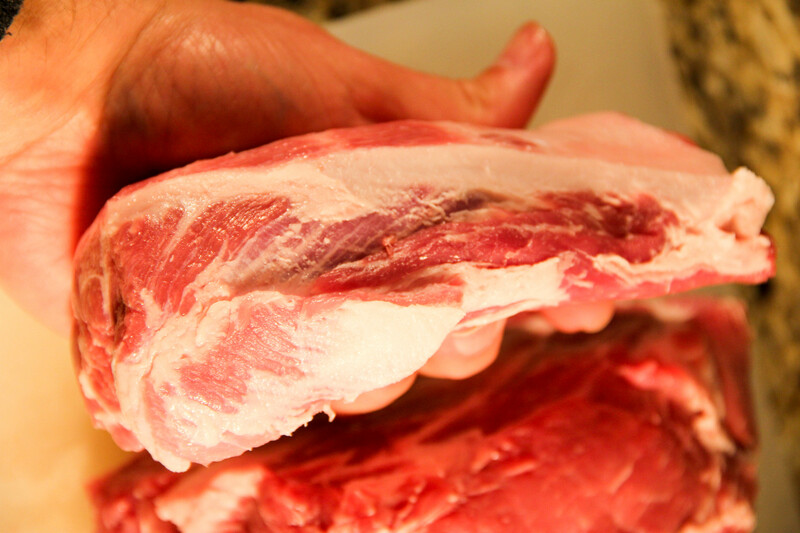 Instead of 1 big dense piece of pork, you have several smaller pieces, about 1 to 1.25 pounds each. Cover each steak with the rub. Really work it into the meat. 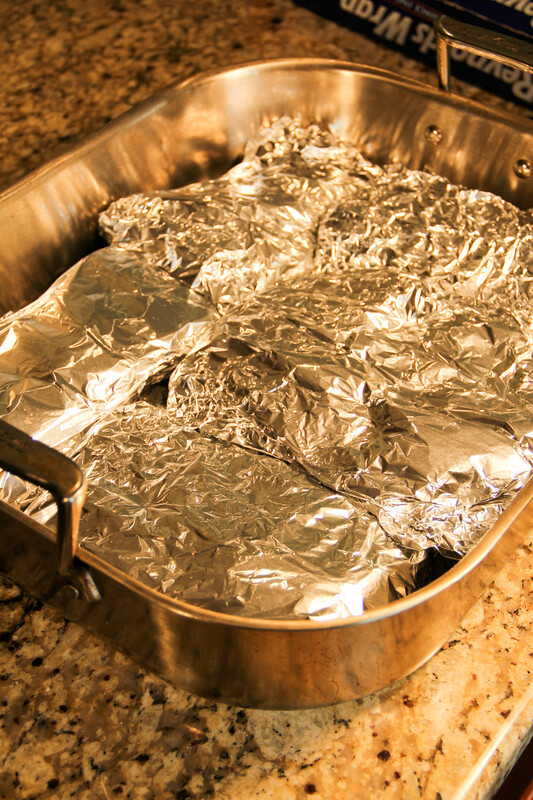 Then, to ensure that you have juicy pork, wrap each steak in foil. 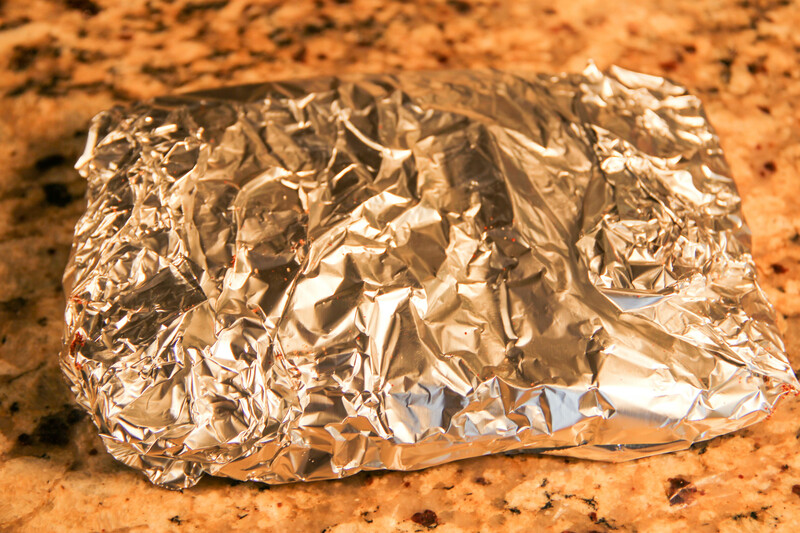 I recommend 2 layers of foil. Once all the pieces are wrapped, put them into a roasting pan. Try to keep them all in 1 layer, as seen in the picture. Cook the pork for 4 hours. After you take the pork out of the oven, let them cool for about 15 minutes so that they are easy to handle. After they have cooled, unwrap them. At this point they are so tender and on the verge of falling apart. That's when I throw'em on the grill. 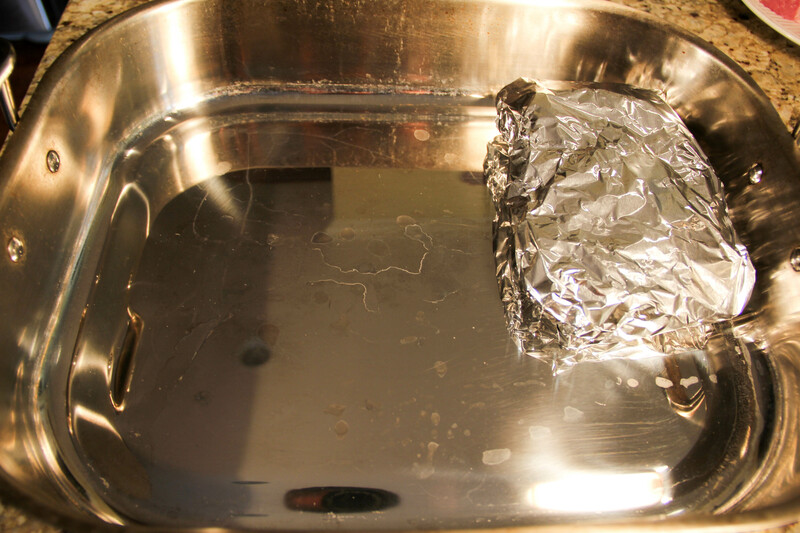 To do this, first, take a wad of paper towels and cover with 1 to 2 tablespoons of vegetable oil. Rub the grates of the hot grill with the paper towels. Now, take a spatula and gently slide it under the meat and transfer to the grill. Once it's on, slather it with some of the BBQ sauce. Let it hang out there for maybe 5 minutes, and then flip and slather. Now this is where you can adjust to taste. If you like a lot of caramelized BBQ sauce and crispy bits on your pork, flip and slather until your heart's content. 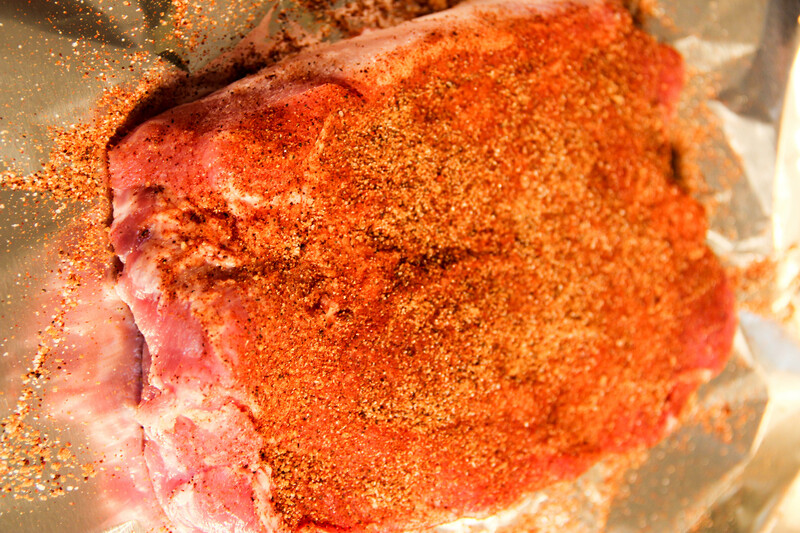 Remove the pork when you've reached your desired level of BBQyness. Remember, the meat is fully cooked at this point, this is just to add some grill flavor. You can totally skip this step if you want. From here, take 2 forks and shred the meat, put on a bun, add a little more sauce and enjoy! I hope you and yours enjoy the recipe! Subscribe to get alerts for when my next recipe is posted.